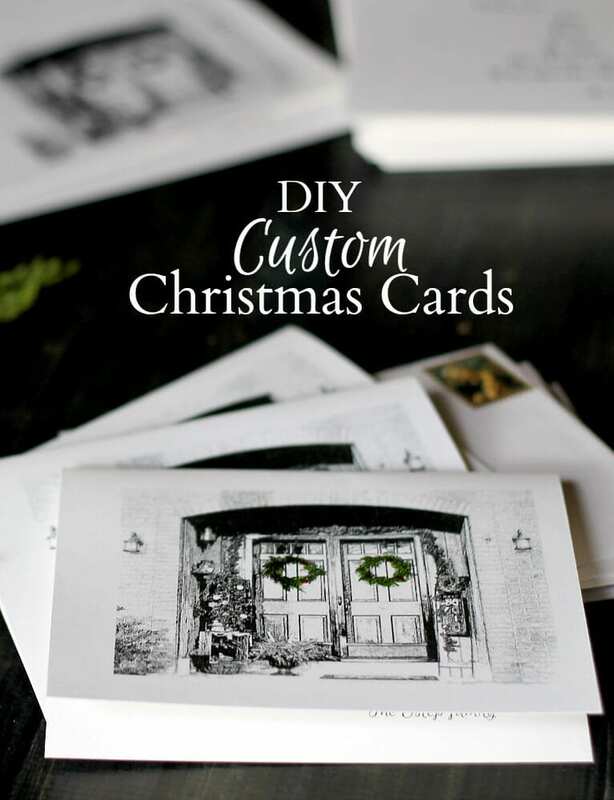 Learn how to make a custom Christmas card from a photo of your front door. You won’t believe how easy it is to do, and how great the final product looks. Many years ago my cousin sent us a custom Christmas card which had a sketch of the front of their home with a red wreath. I always thought it was a unique idea, and this year I tried making one of my own. 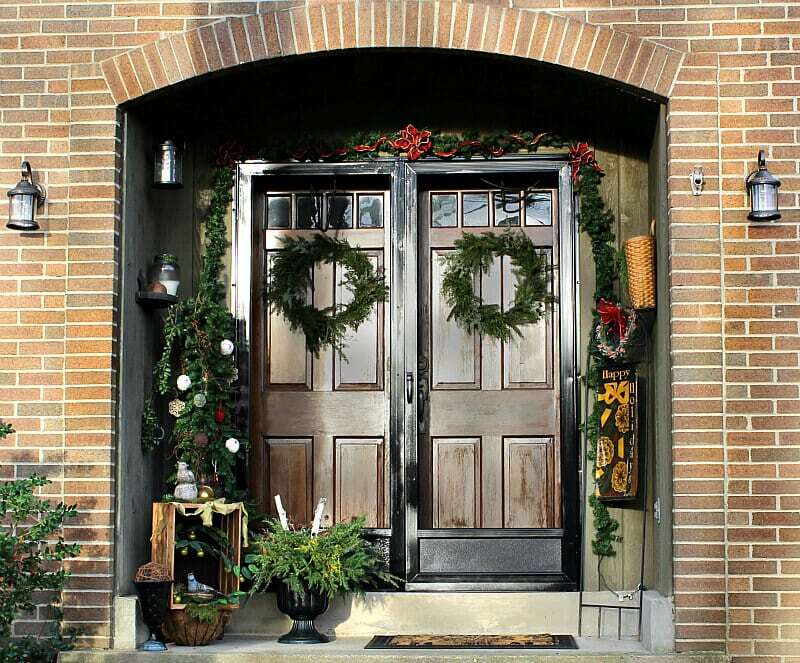 Start with a photo of your front door all dress up for the holiday. Next using a photo editor turn it into a black and white sketch. I used this free online service: Picture to People. Then insert the image into Microsoft Word. You can create two cards per page by using a landscape layout. Make a copy of the image and size the photos to fit the bottom half of the page. Then, on a second page, type your message. Make sure that the message is positioned at the bottom half of the page also. Once you print out the two pages, you can take them to an office supply store and have them photocopy the images onto one page. Typically they have nice paper choices in the store. I picked up a pretty white metallic cardstock for this project. My daughter added a final touch of green by using some markers to color in the wreaths. Cut your card in half and fold. They fit perfectly into standard A4 invitation size envelopes. We ended up with 100 cards, from 50 pack of cardstock which was a little more than we needed, but I really like the way they turned out. You could use any photo for this project. Perhaps you would like to use your Christmas tree or a decorated mantel. The possibilities are many, and I hope you are inspired to try this idea with your own photos. What a great idea, Patti! And they look beautiful! You could keep one copy to frame and display every year! Thanks Heather. I love the framing idea too. Thanks. Merry Christmas! It’s beautiful! And such a personal card. When I opened your Greeting card, I immediately recognized your front porch from other tutorials. Love the card! I may get Nikki to help me try this next year? You made my day! It really was easy. You should definitely do it! !